With increasing numbers of elderly people opting to reside in their own dwellings as opposed to a nursing home or with a family member, the need for elderly caregivers to be on the ball gains importance. The Generation X on whose shoulders the responsibility now lies to care for their elderly loved ones, will have to define their lifestyles to combine responsible caregiving with living life in the best way possible. Though one may prefer that their elderly loved ones stay with them to ensure they are well taken care, looking after the aged and ensuring they are safe and follow their health routines diligently can pose a challenge. Also, balancing office duties with home responsibility is difficult and needs to be well-managed. The rising costs of nursing homes doesn’t make things any easier. Technology, it turns out, is available to help you in taking caring for your senior loved ones. Using a senior tracker app to protect your loved ones while away is an ace on the technology front for senior care. The free Senior Safety App from 97Technologies with a real-time GPS tracker and alert systems, let’s you know not just the whereabouts of your loved family member at any given point of time, but also enables them to can signal for help if there is a fall or an accident. A GPS tracker also makes sure that a senior with dementia or similar health concerns never goes missing. 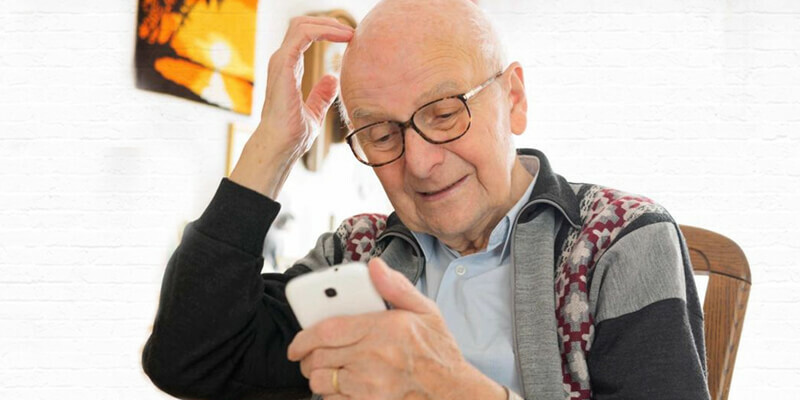 Your senior can signal you for help in case of any unforeseen danger with a text message, phone call, and an email that will be easily accessible on the home screen. The GPS tracker will log in the real-time location of the phone. On receiving the alert from the senior tracker, you can pull together all the forces you need to ensure your loved one gets timely assistance. With a GPS tracker app for seniors installed on his phone, your loved one is at liberty to go places, knowing he can ‘shout’ for help if needed and he will get it! The advantages of a Senior GPS tracker is canceled out if the phone the senior is carrying has no battery charge as he will be incapable of seeking help in the event of an accident or any other unforeseen danger. However, the senior tracking device on your phone can be configured to receive alerts based on your senior’s battery availability. Seniors easily fall prey to scams, abuse, and unnecessary solicitation by unsavory individuals and companies. Use Senior Safety App to protect your loved ones while away and experience the difference it makes to your life and that of your loved ones.